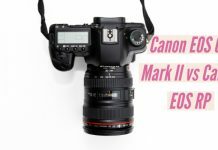 If you have one of those excellent Canon cameras and loving it to the core, macro photography is certainly one of the most important genre you would want to check out. 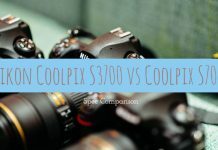 Of course, there is an pricer option of opting for the macro lenses for your requirements. 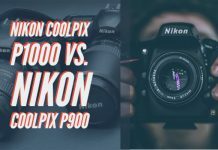 But, that may not be an affordable option, and unless you are someone in the professional photography arena, you will indeed look ahead for alternatives. Extension tubes and reverse ring mount adapter are a couple of the best options to go with. 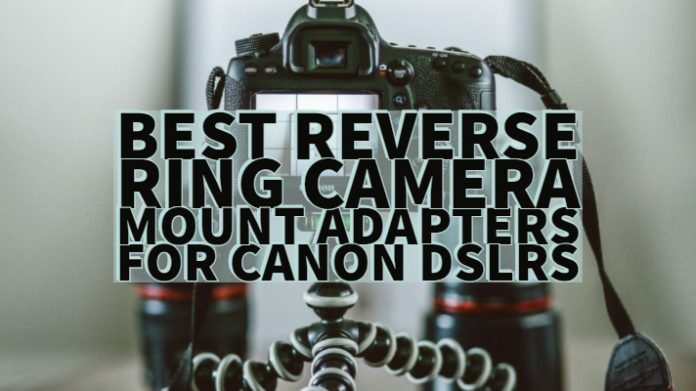 Let us check out a few proper Reverse ring camera mount adapter for your Canon cameras today. 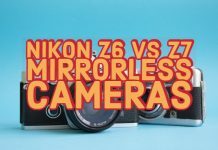 How do Reverse ring camera mount adapters help? 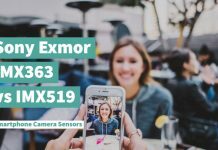 As the name itself should be indicative enough, the reverse ring camera mount will let you mount your lens in the opposite direction onto your camera for enhanced macro functionality. 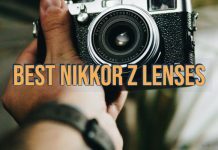 Of course, you will not be able to install the lens in reverse right way, and a reverse mount adapter will help you achieve that purpose adequately. There are two different ways to do this with special adapters. The single lens reverse macro adapter is the most inexpensive option from this perspective. 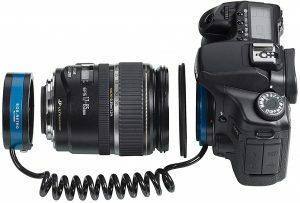 Just use the reversing ring to your glass (read: lens) and attach it to your camera. 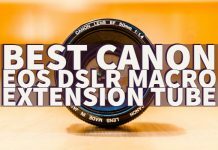 This should be one of the best choices if you are using a lens with a manual aperture ring. If it doesn’t, you will be forced to use the maximum aperture of your lens and will no be able to change it. The second method involves using a reversed lens to another glass. The reversed lens will act as a powerful close-up filter. 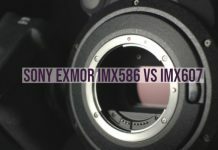 We tested a Fotodiox Tube coupled with a EF 50mm F1.8 lens and the results were amazing. 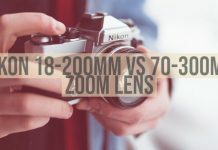 However, we feel that if you have a F 1.2 variant of the 50mm lens, the depth of field would be shallower and the result is likely going to blur out most of your subject. 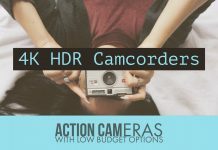 Our recommendation is to shoot it with the lens wide open. 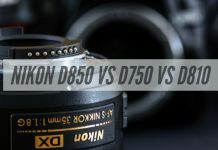 Since, the 50mm F1.8 is a popular choice, don’t buy the ring with the 58mm threads, that simply will not work with the 50mm F1.8 lens because that lens has a 52mm filter size. Usually, the macro adapter screws onto the end of the lens where you would typically attach a UV or polarizing filter. 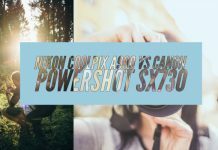 One of the primary things to keep in mind is that you will lose autofocus and you also lose aperture control. Otherwise, it is just adding some empty air space so there is not really much difference when you step up in price. If you need to set your aperture, set your aperture and then press the DOF preview button. Keep holding it down while you release the lens and ensure that it stays set. As far as focus is concerned, manual focussing is not as bad as you’d think for non-moving objects. With some exceptions, these extension tubes do not have any electrical connections of its own. 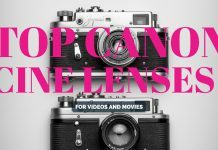 You will ideally need to mount your lens onto your camera and set the aperture to the highest setting. Then, turn off the camera, mount the extension-tubes to your lens and then to fix it to your camera. We recommend using a tripod in order to reduce camera shakes. We found full compatibility with existing EF and EF-S lenses, and set the pin for AF and IS. 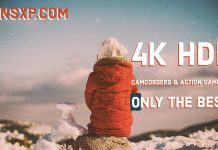 As far as image quality is concerned, quality suffers only minor degradation under proper lighting conditions. 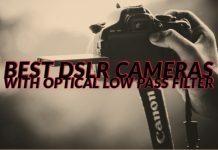 In our observations, the camera body do not recognize the extended focal length. 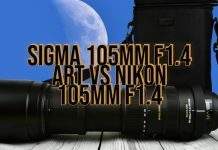 As a result, your images will show the focal length of the lens as if there were no extender attached. 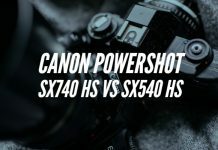 Having understood the functionality of the technique, let us now move to find the best reverse ring camera mount adapter options you can check out for your Canon cameras. 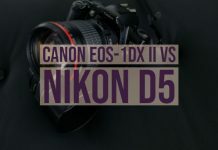 Most of the options available are from Fotodix, and we could not find any other options, especially for Canon cameras. The macro reverse ring camera adapter is suitable for a Canon camera with a 58mm Filter Thread Lens. 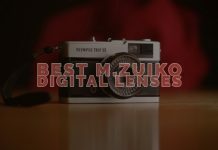 It is equipped with a smooth surface for enhanced mounting ease; the reverse ring adapter makes your macro shots an affordable option. It fits well with the compatible lens. If you are interested, you can give it a try at this link on Amazon. 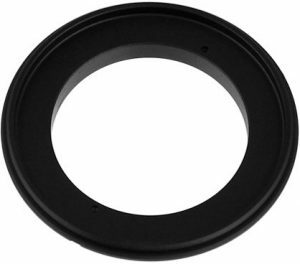 The reverse ring adapter is designed for the cameras with the filter thread size of 52 mm. 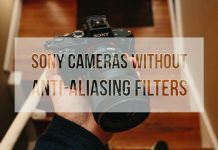 Check out the filter thread size off your lens before you opt for the mount adapter. 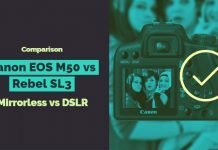 The compatibility is decided by the lens you are about to use with it, not the camera – it should be worthwhile to note the fact. Once again, you have access to an all-metal construction and an assured durable design. Anodised aluminium construction ensures an excellent performance. The adapter comes with a smoother surface for enhanced mounting functionality. You have access to 24 months of manufacturing warranty. If you think you need to give it a thought, you may check the adapter here on Amazon. 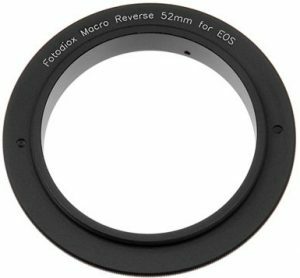 The Fotodiox 67mm Filter Thread Macro Reverse Mount Adapter Ring is yet another option from Photodix and provides you an enhanced macro performance at affordable pricing. It ensures you extremely close up results. Anodised black finishing should ensure that you have access to a smoother look. 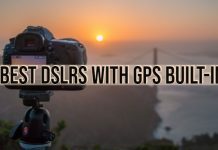 It should be a great option if you are into nature or wildlife photography. You can find more about the reverse ring adapter on Amazon here. 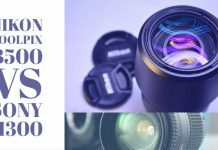 The Novoflex Reverse Macro Adapter for Canon EOS Lenses is an innovative option for an enhanced macro experience without having to invest in an expensive macro lens. 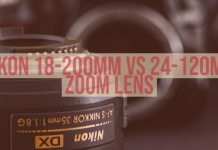 Transform your kit lenses into a powerful macro lens right away. 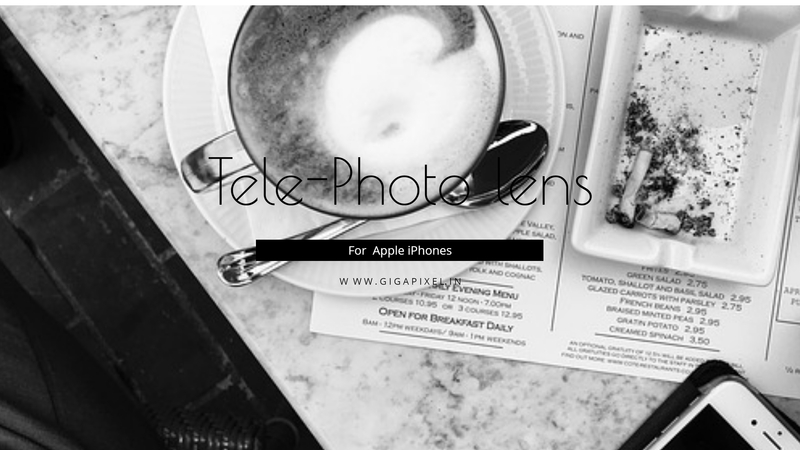 Made with precision, it should be the best fit for your lens and camera. The adapter comes with a 58 mm filter thread. 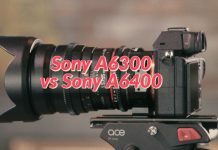 The electronic nature of the adapter should make it an excellent option for communicating the information between the camera and the lens efficiently. In case you think you should give it a try, you can check it out at Amazon from this link. 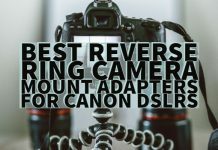 Those were a few options for the best reverse ring camera mount adapter for your Canon EOS cameras. 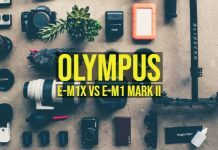 The mount adapter can be an excellent option for improving your macro photography without having to worry about the expenses of the macros lenses. 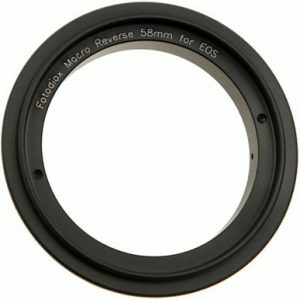 Unless you are a professional photographer and need to have extremely accurate macro photography results, the reverse macro ring adapter should meet most of your requirements in ensuring an enhanced macro functionality. 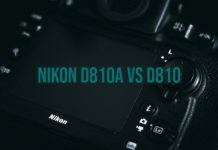 Make sure that you are choosing the right type of reverse ring adapter while paying attention to your lens with which you will be using the adapter. The filter thread size should be one of the most important aspects you need to pay attention as any discrepancy will end up with the adapter not fitting with your lens. 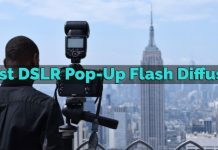 Have you used any of the reverse mount adapter options featured in this compilation? 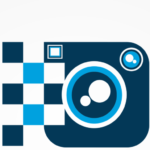 Do share your thoughts, experiences, and opinions with us for a regular update.